Baba visited the foremost Saivite shrine of India, Varanasi and the foremost Vaishnava shrine, Badrinath in 1961 in order to infuse spiritual power in those dynamos of Grace. 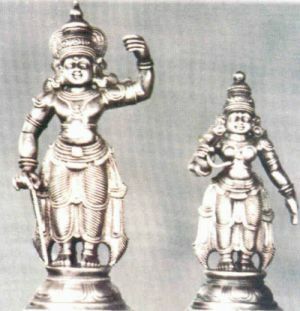 At Varanasi, He created a unique jewel to be placed on the idol of Visweswara declaring that it has the mystic might to charge that symbol of the Lord with Divine potency. At Badrinath, He drew from under the present Narayana image, a Nethra-linga which according to Him was brought from Mount Kailasa (!) and ceremonially installed there, by no less a person than Sankaracharya about twelve hundred years ago! This Nethralinga when it emerged at the call of Baba, created a chapter in history; a Linga as the basis of the celebrated Vaishnava shrine was a welcome reminder of the basic harmony of Saivites and Vaishnavites. Tradition has it that the present Narayana idol at Badrinath was thrown by alien hands into the Alakananda river and that after long and strenuous asceticism, Sankaracharya was rewarded with the revelation that it was sunk in the Narada Kunda of that river. Sankaracharya recovered it and installed it at its present site. Therefore, when Baba announced that the Nethralinga was the original nucleus which had to be "energized" by Him (with suitable rites and ceremonial ablutions with the sacred waters of the Gangothri, the golden Bilva leaves and the actual Thumme flowers which He miraculously procured on the spot) even the Trustees of the Badrinath temple were pleasantly surprised! Baba spoke of the Linga as being one of the Five Lingas which Sankaracharya brought from Kailas and installed in India, and so, the wonder grew; earnestness to know more of this divine mission of Sankara was aroused in many. Those who knew Him accepted the accuracy of this exalted origin of the Linga which they were privileged to see for some precious minutes on that never-to-be forgotten day. Saligrama Srikantha Sastry was one of those who were afflicted by this earnestness to discover the authenticity. He had studied the Sankara-vijaya, the classical biography of Sankaracharya; he sought to know the origins of the Lingas that had been installed by Sankaracharya in the monasteries he had founded. In the reply he received from the Sringeri Math, the monastery established by Sankaracharya amidst the mountains of western Mysore, he was told that mention was made of these Lingas in the Sivarahasya Mahethihasa, a book which he was able to get after elaborate search from the library of a Vedic College at Varanasi. In the XVI chapter of the IX Section of this book, it is said that Lord Siva welcomed Sankara at Kailas and blessed him with the words, "You are marked out for the establishment in the world of the true teaching of the Vedas, viz., Adwaitha. Spend 32 years of your earthly existence spreading this faith and overwhelming those who decry or deny it. Accept these five Lingas that I am giving you now. Worship them with the Panchakshari and with Satharudrabhisheka. Offer the sacred Bilva leaf and Ash and recite the holy Pranava. Complete your three Tours of Victory dispelling the darkness of Dwaitha and then, install these Lingas from this thrice-holy Kailasa, marked by the effulgence of the Crescent, named Yoga Bhoga Vara Mukthi and Moksha, in sacred sites chosen by you, before you shed this mortal frame at Kanchipuram." So, the story of the Linga at Badrinath was authentic! The Sankara-vijaya of Anandagiri mentions that one of the Lingas was installed at Nilakantha-kshetra, which reminds us of the snow-clad Nilakanthaparvatha, the Queen of the Himalayas, behind Badrinath, resplendent in its brilliant purity. There is a temple at Badrinath, called "The Original Kedareswara." The legend says that Vishnu discovered that Badri was a fine place for Tapas, but finding that it was already under occupation by Siva, He resorted to a stratagem to take possession of it. He assumed the form of a child and started wailing aloud. So, Parvathi took up the forsaken baby and fostered it, in spite of the remonstrances of Siva. Some days later, when Siva and Parvathi had gone to the river, the child assumed its real form. Vishnu insisted on staying at the place, so that the Divine pair had to seek a place many miles off for their residence, viz., modern Kedarnath! This legend indicates that the Badri shrine was originally Saivite and later became Vaishnavite. The Kailasa Linga must have been there from the very beginning, even when the Narayana image was installed on the holy spot. These surmises arise in our minds when we delve into the history of the Linga which Baba revealed as having been the initial "spiritual nucleus" of Badri. Whether as Nilakantha-kshetra or as Kedaram, the site where the Narayana temple is existing now, was blessed with a Linga, by Sankaracharya, this is certain. We can only offer our homage of reverential awe to the unpredictable depth of Baba's divine Awareness, when we recapitulate the story of the Badirinath Linga. In pursuance of the same mission of heightening the spiritual potency of the great shrines of India, Baba visited the Kasi and Badri of Peninsular India too, to wit, Srisailam and Pandharpur. At Srisailam which He visited on the 5th of January 1963, He said. "This shrine has consoled and comforted thousands and thousands of pious persons year after year, for centuries. Sankaracharya was here and he sang of the holiness of this place and the calm he enjoyed here. He has installed a Chakra here, which I may tell you, is in a small cave by the side of Pathala Ganga". He added, "The atmosphere of Holy Places should improve. The nature of the monks who are the custodians of these places requires drastic correction. This will be done by Me, as part of Dharmasthapana, the task which I have come to fulfill". Srisailam is a shrine saturated over the centuries with the deep devotion of mystics like Akka-mahadevi and nation-builders like Sivaji. Baba revealed the inner significance of the Names, by which the Lord and His Consort are worshipped at Srisailam: Mallikarjuna and Bhramaramba. This too was something new, a gift from Baba to generations of votaries. Arjuna means white, pure, without blemish; mallika means the spotlessly white jasmine flower. So, Mallikarjuna is Siva of the snowy peak Kailasa; pure, cool, resplendent with the sacred ash spread all over. He is the fragrant flower that draws the Amba or Consort, the Sakthi aspect, called Bhramara (the Bee which is attracted spontaneously by the Honey of Grace). She is the true representative of the tarden devotee and Mallikarjuna is the purest conception of the Grace-showering God, who yields to sincere entreaty. While inside the innermost shrine, Baba showered on the Mallikarjuna, golden thumme (Leucas Linifolia) flowers which He created on the spot by a wave of His Hand. That was the ceremonial rite of multiplying the potency and improving the sanctity of the focus of worship. Pandharpur and the shrines of Panduranga and Rukumayi have woven themselves into the history of the Marathas and Kannadigas and, of millions of others by the inspiration they imparted for centuries to a long line of saints, mystics and poets, famous for the songs that emerged from their ecstatic experience. Purandaradas, the great itinerant singer of Panduranga's Glory was a Kannada Saint; Tukaram and a host of other stalwart servants of God were from the Maharashtra country. Even while a boy, Baba had gathered a band of comrades at Puttaparthi village, who danced and sang of the joy derived from a pilgrimage to Pandharpur to witness the shrine of Panduranga Vittal. He had composed many captivating Telugu songs for His comrades to sing; some of them glorified the Lord who blessed devotees at Pandharpur; some detailed the route to be followed; some described the travails of the long journey; some expressed the thrill of the exhausted pilgrims when they had the first glimpse of the temple from afar. A Divine Destiny, an indescribable kinship, was drawing Baba towards Pandharpur since His childhood. At last, Baba visited the shrine with a number of devotees from Maharashtra on 13th June, 1965. He stood silent for a few minutes before Panduranga, the Vittal whose Vision - He Himself had often vouchsafed to those who yearned to see that Form in Him; then, He moved on to the shrine of the consort, Rukumayi, Rukmani, the Sakthi of the Lord and, urged by a quick irrepressible memory, He created a Mangalasuthra and placed it round the neck of the Goddess. A page from the Bhagavatha came alive during that moment. Besides these temples, Baba has visited and intensified the sanctity of the temple of Giridhari at Brindavan and of Ramachandra at Ayodhya in Uttar Pradesh and Bhadrachalam and Mahanandi in Andhra Pradesh. "My task comprises Dharmasthapana, Vidwath Poshana and Vedasamrakshana. All three are interdependent," declared Baba once at Prasanthi Nilayam. The resuscitation of the holy places where millions gather to draw solace and peace is only one of the many means of Dharmasthapana. The repositories of that Dharma, the interpreters of that Dharma had to be inspired to a greater awareness of their responsibility. The twin objects of Vidwathposhana (Fostering of Scholarship) and Vedasamrakshana (Preservation of the Vedas) can be gained only by drawing the Pundits of the Land into the circle of His Grace. Like all acts of Baba, this shower of Grace came about in a quiet spontaneous manner, no one noticing the 'grand design' or the harvest of precious grain. The deltaic region of the Godavari Basin is even now the home of classical learning in Andhra Pradesh, though the scholars who are struggling to keep the flag of Vedic learning flying are finding it hard to brave the buffetings of economic distress and social neglect. 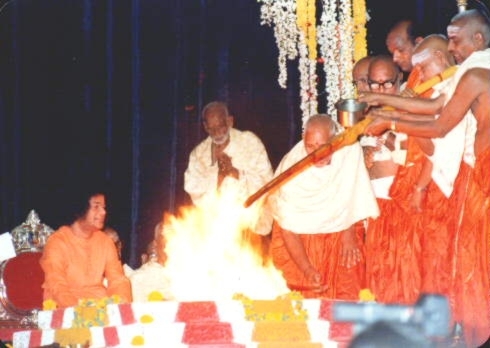 When the devotees of Baba suggested that a Yaga be included as one of the functions He might attend when He visited the East Godavari District, Baba replied that they could as well celebrate the Yaga at Prasanthi Nilayam itself during Dasara, when thousands from all over India could have the thrill of witnessing it! Lists of qualified ritualists and reciters, Pundits and Sastris were sent to Him, but when Baba saw that they were all selected from the Kona-sima (delta area) only, He set them aside with the remark that His Sima (area) is not Kona-Sima only; it was Veda-sima (all areas where the vedas are revered). So the lists were revised and Vedic scholars and Pundits were invited from Benares, Bangalore and Hyderabad, besides the contingent from the Godavari Basin. When they started from their villages, these savants did not know how epoch-making the journey was, both for their own lives and for the life of the country and its culture, for, each one returned home vastly richer in faith, more firmly established in courage, more steadfast in loyalty to the Vedas which were the source of sustenance for himself as well as for the people. Baba, in one of His Discourses during the week, referred to the derision with which even many Hindus react, when they see so much ghee being poured in the Fire. He spoke of such critics as dwellers in the realm of cash books, persons who clamour for jars of ghee and bundles of fuel, rather than the more precious and the more lasting joy of having invoked and pleased the Gods. The very performance of an ancient honoured rite gives a satisfaction that cannot be expressed in cash. "These questioners have consumed hundreds of bags of rice since birth and they have drunk pots of ghee so far. Let me ask them, whether they have had a single day of happiness themselves or whether they have been able to give a single day of joy to their kith and kin. But, this Yaga gives great joy to many; it gives peace and joy to the world. I and My people are delighted; that is enough compensation. When ghee is poured into the Fire, those who do not know or believe in the Vedas say it is a waste. Those who do not know agriculture may cry that casting seeds in the furrow is a colossal waste; they do not know that the tiller will get the grain back, a hundred fold. This is also like that. Letters reach the addressee only when they are duly stamped with manthras and dropped into sacrificial Fire. This is a science as much as any other." The foremost reciter of the Vedas in Andhra Pradesh, a person honoured by his colleagues as Veda-samraat (Undisputed Master of the Vedas) Brahmasri Cherkumalli Kamesvara Ghanapati was invested with the office of Sarvaadhyaksha (Overall Supervisor) of the Yaga and a Pundit in the Nyaya Vedantha and Jyothisha schools of thought was installed as the Officiator. Sri Uppaluri Ganapathi Sastri, a septuagenarian scholar, one of the very few in India today who can expound every syllable of the Vedas in conformity with authentic commentaries, on whom learned Societies have showered titles like Aamnaayarthavachaspathi, Vedabhashyavisarada and Vedabhaashyaalankaara, was chosen as the President of the Jnana Yajna section of the Yaga. Sri Ganapathi Sastri has stated that in his fifty years of experience of Vedic Yagas and Yajnas, he has not had the privilege of witnessing such a scrupulously correct Yaga, which could pass the most rigorous tests of orthodoxy. As a matter of fact, the discourses he gave every evening on the significance of the rites were punctuated with sincere gratitude to Baba for His upholding the Vedic Injunctions. He quoted Vedic manthras in support of what looked like 'casual acts' of Baba: His reference to the rithwiks as 'gods', His distribution of white silk clothes to the reciters of the Vedas and red silk clothes to those engaged in other rites and even the order in which He presented awards to the participants at the end of the Yaga! Baba was the Vedapurusha, he acknowledged. Baba Himself declared: "Do not be misled; I am not the person performing this sacrifice. I am the Person receiving these sacrificial offerings and awarding the rewards". And He gave proof too. On the Penultimate day of the Yajna, He announced "Tomorrow, when the Valedictory Offering is poured into this sacrificial Fire I want each one of you to resolve with your will that you are pouring into the flames all the evil in you, all the egoism and degrading attachment, all the habits that drag you down". Many who had equipped themselves with gold and gems, silk and sandalwood(!) in order to be ready to put those precious things into the Fire (as is the wont in all Yajnas) were awakened by this call, into the knowledge of the significance of the Yajna. Baba made also another announcement; "Tomorrow at the moment of Valedictory Offering, you will be given the Darsan of the Yajnapurusha, the Person who accepts the Yajna". True to the Promise, Baba ascended the Yajna Vedi at that very Moment; He granted Darsan to the tens of thousands, who ecstatically acclaimed Him as the Person who accepts the Yajna. It must be mentioned that the Kamandalu or Watervessel of Shirdi Sai Baba which has miraculously found its way into Prasanthi Nilayam was placed on the Yagamantapa to hold the ceremonial water used for most of the mystic rites; the continuity of the two Sais was thus symbolized. When the Officiator required images of the Navagrahas for installation, Baba created them by a wave of His Hand; when he held out His hand for a plate of gold to be deposited with the relevant manthras in the water-vessel, Baba made it on the spot and gave it to him; so too, when the time for the Valedictory Offering approached, He created the Nine Gems and placed them in the plate held out before him. The pundits as well as the thousands who attended the Yaga had also another glimpse into His Divinity, when Baba one evening, down from His seat and moving out of the roofed area, looked up at the growling sky which was bent on a heavy downpour of rain; as at Shirdi, Baba must have rebuked the skies and said "Stop your fury and be calm", for the sky was stunned into sudden calm and clarity. The Yaga achieved many results, chief among them being the transformation it brought about in the outlook of the Pundits of the land. Many of them came infected with the prejudice that Baba was only an adept in magic, a hardy prejudice that had unfortunately kept Sisupala, Duryodhana and millions of others away from Grace in previous eras. Ganapathi Sastri confesses that he too was thus affected, but, "as a result of the constant association with Him for many days during this Jnanayajna, and observation of the ever fresh and unique examples of His Glory, I realized that I was incapable of gauging His reality, for He was undoubtedly the incarnation of God". Darsanabhushana Chathusthanthri Kolluri Somasekhara Sastri, who had a similar experience began addressing Him soon as Bhagavalleelaavaathaara, Leelaa-maanusha-vigraha, meaning that He was indisputably Divine. Vidwathkavi Vemparala Suryanarayana Sastri revealed before a large gathering of devotees, that he had refused to place faith in the theory that Baba was an incarnation of the Lord; he was not convinced when many people told him that their lives were saved by the Vibhuthi that Baba had materialized and blessed them with; even when his friend, Sri Kamavadhani had shown him the gifts that Baba had created and given him at Rajahmundry, he had turned a blind eye. But, before the Yajna concluded he confessed that "the conviction that Baba was Krishna, come again, was rooted deep in me". Adwaithavedantha Siromani, Meemaamsavisarada Mallavajhala Venkatasubba Sastri of Warangal, who was also a doubter, turned into an ardent advocate of the Avatharhood of Baba. This revolution in the reactions of the Pundits was in conformity with the declaration by Baba Himself; for, He has said often that only those conversant with the Vedas and Sastras can delve into His Reality, to any appreciable extent. No wonder therefore that the hundred and odd scholars of the scriptures that basked for seven days in the sun of His Grace decided without any extraneous prompting to arrange a unique function on the Tenth Day which they named "Thribhuvana Vijayam" Triumph over the Three Worlds!" When asked whose triumph they were arranging to celebrate the answer was, Baba's! The Vedas and other scriptures, along with the ancient sciences and disciplines by which they could be understood and practiced (like Grammar, the Six systems of Philosophy, Philology, Phonetics, Theology) were to approach God on His Throne and beseech Him to glance at them lovingly so that they may grow strong again and afford shelter to mankind. They pleaded that Baba must be on the Throne and proposed that they would approach Him with pleas on behalf of the sciences of the Spirit. And, Baba agreed. When some objected, "Baba! They are asking you to act a role! They can be the roles but you are God". Baba intercepted: "But I am acting a role now in this human form. The Function-less and the Role-less has come, taking on a Function and assuming a Role". A strange thing had happened, unawares, in preparation for the "Thribhuvana Vijayam"! A devotee had a dream in Bombay a few weeks previous; She saw Baba as Narayana on the Primeval Serpent (Sesha) Couch. So, she got ready a magnificent Serpent Couch in wood, complete with coils and hood and her kinsmen brought it to Prasanthi Nilayam, in a motor vehicle specially reshaped for the purpose. The Pundits were happy that the very thing they needed to make their function realistic, the throne, had come, through the will of Baba. Let Ganapathi Sastri himself describe the scene; "When Baba reclined on that Seshathalpa, with the Yagamantapa as the background, each Pundit and Sastri who was a master of one chosen branch of a scriptural lore stood before Him and represented as previously arranged, the importance of his field of knowledge and the urgent need to foster it, everyone saw Mahavishnu in Vaikuntha reclining on the Sesh Serpent and of Brihaspathi and all the gods and sages displaying their scholarship and attainments for His Glorification and praying to Him to save the Sastras from decline. It was indeed the Devasabha the Divine Durbar and we forgot all about ourselves in the supreme joy in which we were submerged. It was an occasion to be personally gone through and experienced; the joy we felt cannot be communicated to others by even Brihaspathi, the all-knowing preceptor of the Gods, or by the Four-faced Brahma or the Six-faced Kumaraswamy or the Thousand-tongued Adi-sesha". To the Sarvadhyaksha of the Yaga, Sri Kameshwara Ganapati, it was a fruitful revelation. He came, he saw and he was conquered. He left his native home in the far-off Godavari Delta, he turned his face away from his village home set in the midst of the coconut gardens he cherished, and stayed on at the Prasanthi Nilayam, where he found the Vedapurusha whom he had been extolling with manthras for sixty years! The Jnanayajna or Evening Discourses provided an opportunity for the Vedic scholars to fathom the extraordinary scholarship of Baba. Ganapathi Sastri expresses the sense of admiration of the learned Pundits thus: "Apart from the thrill that the listeners derived from the discourses of Baba, the reputed masters of the ancient disciplines who had gathered renown by lecturing to many vast gatherings throughout the land were themselves struck with wonder at the depth and width of His knowledge". Mallavajhala Venkatasubbarama Sastri analyzed the reactions of his colleagues thus: "In all His speeches there was not the slightest deviation from the Sastras nor the faintest whisper contrary to the trend of their teachings. And, the subjects He handled! They were indeed the most profound! The methodology of exposition was in strict conformity with the canons laid down in the scriptures. There was no repetition of argument, no irrelevant digression, no jeering criticism, no jarring adulation, no over-emphasis". Kalluri Venkatasubramanya Dikshith reacted similarly. "The nectar of His Love filled every word of His parables and explanations. It was overpowering Grace that made Him pity the poor understanding of the listeners and search for tiny tasty stories that could clarify the profundities He was unraveling, the Goals He desired to picture". In short, the scholars found in Baba the Master-Mind that was guiding and shaping their own. But, it was not all wonder and admiration! The Pundits were made aware of the worth of the treasure that they were preserving; they were told the reason for their poverty and for the neglect which is their meed lies in themselves! They were induced to examine their own lives and beliefs, their own attitudes and prejudices, their own preferences and foibles. "You may ask why Pundits and Vedic Scholars are passing through such hard times. They are mostly hungry, ill-clad and homeless. No one comes forward to join Vedic schools. I shall tell you why they have come to this pass. They have themselves lost faith in the Vedas. Let them be fixed in that faith - then, the Veda will make them happy. If the Veda cannot make a man happy, what else can?" asked Baba. He filled the Brahmins with faith in what they carried in their heads. He also condemned the ignorant sneer which brands the Vedas as clever stratagems by which the Brahmin priests ensure their position as intermediaries between man and God and win superiority in the social hierarchy. "Look at the regimen of restrictions and regulations, the hundreds of do's and dont's limiting freedom of life and limb which these Brahmins have imposed on themselves in order to promote the good of society and of the world and for their own spiritual uplift. Do not dismiss them as superstitions; no one will bind themselves from dawn to dusk and dusk to dawn with such drastic rules and limits for mere fun. They are hard limitations on daily conduct, social contacts and economic effort. It requires great courage, hardihood and faith to hold these rules as vital and put them into practice. Honour those that have faith in that ideal. Their adherence to those ideals has been of tremendous value to India and the world, for it has preserved the only culture that can save mankind. I know the sincerity with which they have been leading the hard life, for, I have been with every one of them, in their rites and rituals since years", Baba said; this transformed the hostile attitude of many towards the Brahmin community, an attitude fostered by pseudo-political fears and prejudices caused by the ignorance of the sacrifice the community had been practicing for centuries. This was no ordinary Yajna that Baba presided over; it was a revival; it was a revelation; it was a revolution, a resurgence. It was a symbol of cultural renascence, for Baba, explained that the Vedas are essentially for all time and all mankind, that Sacrifice or Yajna is the sign and secret of all life. He advised the participants to recapture the ancient ascetic simplicity; He explained that in the manthras, the Glory and Majesty of the One God is visualized in various contexts; He elaborated on the symbolism of the Sun and the Moon as guiding the inner and outer vision of man. He spoke of the tonic effect of the very sound of the Vedic manthras; they charm away the evil in man. "I want to prove to you and to those others that a Yajna, celebrated according to Vedic Formulae will certainly grant the fruits promised by the Vedas", He said. "The Vedas belong to those who value them, who are moved by thirst for spiritual uplift, who desire to practice them and who have faith that they will benefit by that practice. No one else has the right to talk patronizingly of the Vedas or disparage them. For, all such talk will be hollow and insincere", He warned. Fourty five days later, on the auspicious occasion of His Birthday when thousands had gathered to celebrate it in His Presence Baba invited the incomparable Aamnaayaarthavaachaspathi Uppaluri Ganapathi Sastri to inaugurate the Sathya Sai Veda-Sastra Patasala, the Academy for Vedic and Sanskrit Study, at the Nilyam. He said, "The Vedas are in need of revival. We have to prevent the goats from nibbling at the sprouts. I have come for the sake of this Dharmasthapana". "Vedokhilo dharma mulam", "The Vedas are the root of Dharma". Vedic scholars have to grow in numbers for the sake of the promotion of Dharma. So long as Vedic Scholars are produced and honoured, so long the Vedas will remain green in the hearts of man. This is the real Dharmasthapana." "My Task is to open your eyes to the glory of the Vedas and to convince you that Vedic injunctions, when put into practice will yield the promised results." "My Prema towards the Vedas is matched only by My Prema towards Humanity." "My Mission is just four: Vedaposhana, Vidwath-poshana, Bhaktharakshana and Dharmarakshana". "These boys" He said pointing to the first batch of boys that was enrolled, "These boys will grow into strong stalwart pillars of Sanathana Dharma; they will be the guides and leaders of this land in the days to come, to save it from vain follies and wild passions. You may say they are only twenty in number now; but, when a vast country is administered by a Cabinet of twenty Ministers, this band of students will be ample, for the work I have in view". "Parents who have sent them to this Patasala have reason to be happy, for these boys will become lucent gems, spreading Vedic splendour and Sastric light. I shall take care of them, more lovingly than any mother". Then, the distinguished Vedic scholar taught the boys the correct pronunciation of the Inaugural rik, from the Yajur Veda, "Ishethwa" and wished the Patasala all success. Baba takes great delight in moving among the little boys, and watching their progress. He instills hope and courage into them. He pays special attention to health, discipline and character. He insists on outer and inner cleanliness. Baba encourages them to seek the meaning and purpose of the riks they recite, for, as He has often remarked, they should not get transformed into mere tape-records of the Vedas; they must charge themselves with the devotion, the rectitude, the detachment and the sense of kinship with Truth, which the Vedas teach. He insists also on an all-round progress of the boys, so that they may grow into helpmates of the down-hearted and the distressed. In recent years, He has Himself written musical plays brimful of the noblest scriptural teachings on "Markandeya", "Sakkubai", and "Radha-bakthi"; the first depicts in easy sweet Telugu the story of Markandeya, who defied death and won Immortality as a Star in space. The second deals with the simple saint Sakku, whose devotion to Panduranga was so intense that the Lord Himself took her form and served her husband and mother-in-law in order to release her from her home, for the pilgrimage to the Panduranga Temple. The third reveals the deep significance of the spiritual yearning which filled the entire being of Radha, for Krishna. Baba Himself selected the boys for the cast, assigned the parts, supervised the rehearsals, decided the stage, fittings and curtains and trained them to sing the many songs He composed and designed the costumes for every role in every scene, and on the days when the plays were presented, Baba spent hours in the green room directing the make-up and encouraging each little boy by a soft pat with His loving palm when they moved out towards the floodlit stage, where tens of thousands greeted them with loud applause. For about a month, the boys had the unique good fortune of being inspired by His vigilant Prema, during rehearsals. 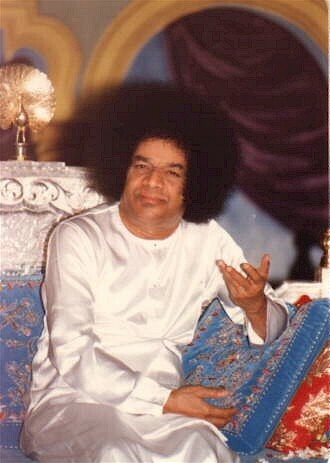 Since every participant imbibed the entire text, whatever be his individual role, all the words from Baba's Divine Pen have sunk into the hearts of all the boys. Baba is thus transmitting them into proper instruments for the fulfillment of the task for which He has come. The Patasala is bound to grow into a great Banyan tope, affording shade and shelter to countless peoples caught in the desert sands of greed, hate and despair. Baba saw that the rampant decline in private and public morals is due to the neglect of the discipline prescribed in the Vedas. The Brahmin, Kshatriya and Vaisya Varns are burdened with greater obligations than the rest of the community because they are initiated into spiritual life, too. This rite of initiation is called Upanayana, 'leading near', that is to say, taking the boy near the Guru or spiritual preceptor for Brahmopadesam (guidance to Brahmam). This has to be done according to the Sastras by the teaching of the Gayathri manthra before the boy evinces longings for sensory-pleasures and thereby gets lost in the wilderness of transitory adventures. The Brahmin boy has to be initiated into that sacred manthra before he is eight years old, the Kshatriya has to be initiated before he is eleven and the Vaisya, before he is twelve. Manthra is ("thrayathe" through manana) that which saves through constant reflection on the meaning. But, though these caste structures still persist in varying degrees of strength throughout India, this great rite has suffered drastic decline. In many regions and families, it is postponed until as late as the marriage rite, or completely overlooked. When thus the very spring of spiritual discipline is allowed to go dry, how can the call of the ancient ideals raise any response in the heart? Man should not be allowed to remain a beast, caring only for feeding and breeding. Therefore, as a great step forward in the revival of Dharma, Baba announced that He will be granting members of the three varnas - dedicated to a second birth - the great chance of being initiated into the spiritual life, by Himself at Prasanthi Nilayam. The devotees of Baba were thus aroused into a recognition of their primary duty to their children; they hastened to benefit from the offer. On February 3, 1963, when 35 boys were "led near Him" and became Brahma-charis (pilgrims on the path of Brahma-realisation) through the sastraic process of receiving the sacred Gayathri manthra, Baba declared addressing the group, "You have come in this body, this receptacle, in order to realize the Glory that you really are. This body is the cocoon that you have spun round yourselves with the thread of your impulses and desires. Use it to grow wings so that you can escape from it. The Gayathri manthra is a prayer to the Universal Intelligence to awaken the Dhee-sakthi in you, your faculty of discrimination, of analysis and synthesis, so that you may realize who you are and why". Turning to the parents, He said "This is an important day in the history of Sanathana Dharma, for it is a great step in the restoration of Varanashrama Dharma. The study of the Vedas is the highest learning, for, it leads to the conquest of Death itself. Today, these, your children, are set on the road to explore their Inner Realm and Innermost Reality". In 1964 when the Upanayanam rite was again arranged 300 boys were so blessed; in 1965, the number increased to 450. 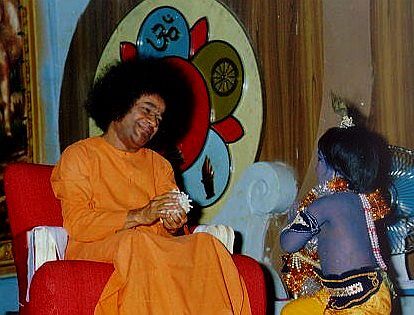 The festival is made unforgettable for participants as well as spectators by the shower of love with which Baba greets not only the boys who are initiated but even their parents and kinsmen. He makes up for all the ritual lapses of the parents, like disregard of the 'naming rites' or 'ear-boring rite', or 'tonsure rite'; He overwhelms the parents and gifts. He does not allow any display of wealth by the richer parents, least the poorer are cast into gloom during the auspicious occasion. To have the rite performed in the Divine Presence is itself a unique gift and many a devotee has felt sad that he aged too fast. Many are depressed that their children have undergone the rite already and have therefore rendered themselves ineligible for the great chance. Baba's Grace flows spontaneously towards the assemblage of Brahma-charis. He gives each of them ceremonial clothes, ritual vessels, momentos and books, besides what is treasured as most auspicious, the inaugural Bhiksha (alms) when each boy starts the "mendicant" career that day, as prescribed in the Sastras for every seeker during the years of Vedic study. The boys walk up in a long line to Baba's Presence and after introducing themselves in traditional style; mentioning their Gothra, Suthra and patron Rishi, pray "Bhavathi, Bhikshaam dehi", "Ma, give me alms" and Baba as Vedamatha and Annapurna, fills their plates with grains of rice. Baba insists that the newly initiated prostrate themselves before their parents; He explains to each boy, at that particular moment, the Vedic commands "Mathru devo bhava" and "Pithru devo bhava" meaning "May your mother be your God", "May your father be your God". The boys as well as the parents are, visibly moved by this act, which Baba considers, as important as any other item in the ceremonial. Then He places in the hands of the boys, gifts, which they pass on reverentially to their parents. More memorable than all these, especially to the Brahma-charis, is another spontaneous gift of Baba, a Blessing that He alone can grant. Baba calls each boy to Himself, even when the number is 450, and, in the sublime silence, He whispers into the ear of the child, fresh from his first lesson in Vedic recitation, a sacred manthra which He instructs him to keep strictly to himself. He has to repeat it with Sraddha and Bakthi, every day of his life. Many an ardent seeker has striven long to get Manthropadesa from this Avathar of the Lord, but they still await the gift, while these chosen boys, on the threshold of the kingdom of God within them, acquire the key which will help them to enter it, through the spontaneous Grace of Baba. The Gayathri is a Vedic Prayer that has been addressed to the effulgence that is immanent in the Universe by millions during millennia throughout the length and breadth of this land. It prays, not for the health or wealth, happiness or victory but it prays for "awakening of intelligence". It is a prayer which all men in all lands can well adopt. Mr. J.B.S. Haldane has written that the Gayathri can be carved on the doors of every laboratory of the World. "May intelligence grow, prevail and ripen into wisdom", and save mankind from perdition! Baba does not hide His displeasure when he finds that a Brahmin, Kshatriya or Vaisya is not performing the Sandhya rite, and repeating the Gayathri during the rite. Fear of that displeasure has persuaded many who come to Baba to resume the Sandhya, brushing their memory in haste from books or from their own children. When Baba surprises people with the question, "Are you doing Sandhya?" many have to accept the lapse, and correct themselves. God is said to love the returned prodigal; Baba encourages by special marks of Grace, those who come back into the Sandhya discipline. For example, a person from Shimoga Town came to Him to get His Blessings, for a venture that he had set his mind upon. Baba surprised him with the question, "Are you doing Sandhya?" and he too hung his head. "No, Baba, though I have been enjoined to do it, years ago on the Upanayanam Day" he said. "Well, it is not too late; start as soon as you reach home" Baba ordered. The rite took about 20 minutes and had to be done three times a day; at dawn, when the sun was at the zenith, and at dusk. Rao kept the promise he had given Baba; he did the Sandhya, with growing devotion and pleasure. After some time, he felt that a Linga, which his grandfather and father were worshipping ritually every day for many years, should be retrieved from the limbo to which he had consigned it. He recovered it; he filled it with his devotion; he offered flowers and fruits and poured sanctified water on it, with the appropriate manthras! Baba 'willed' to grant him tangible proof of his appreciation of this laudable advance; the colour of the Linga changed from opaque dark into golden transparency. And, very soon, inside that round-topped little cylinder of hard translucence, Baba allowed Himself to be 'entangled'! For months now, thousands have seen, inside the Linga, a lovely captivating picture in brilliant colour of Baba with His sweet smile, in the centre of a halo of mellow golden light! Apart from the day fixed by Baba, for the Upanayanam of the boys who are brought to Prasanthi Nilayam, Baba confers the boon on other days also, if devotees yearn for it and if He feels the boy deserves it. On Sankarajayanthi Day, the birthday of the great Sankaracharya who revived Hindu religion and built Hindu philosophy and culture on the unshakeable foundation of Basic Unity or Adwaitha, He seldom refuses this boon. Baba considers this ceremony of opening the inner eye of the rising generation to be so important that He even reminds parents of their obligation to initiate their children and calls upon them to celebrate the Upanayanam. This, He does both directly and indirectly. Take for example the telegram received by Sri C. Ramachandran of Kirkee, Poona. "On 26th April, 1965, when I went to my residence at lunch break", writes he, "both my sons came running forward excitedly and put into my hands a telegram which had been just received. 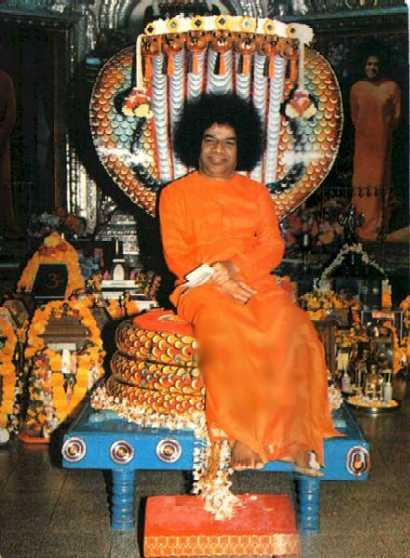 The telegram ran as follows: "Sri Sathya Sai Baba arriving at your residence on fifth May to attend Upanayanam of your sons and give them Brahmopadesam". The words "Satya" "Upanayanam" and "Brahmopadesa" are underlined in the telegram! "I had never discussed with anybody the question of having the Upanayanam of my sons performed during the summer, although I had a keen desire to perform it as early as possible, since this function was already overdue and had been put off, during the last two to three years. I had not made up my mind, whether to have it performed at Shirdi or Palani, our family shrine. I was, therefore, surprised to find that the place and the date had been fixed by the sender of the telegram. We were overjoyed at the prospect of having Baba with us for the function"
On enquiry, Sri Ramachandran discovered that the person who was responsible for sending the telegram from the Central Post Office, Poona, had described himself as "a person in transit, with no permanent or local address"! and that when the Postal authorities pressed him to give an address, he had written his name as Sri Maragathavelu, c/o All India Sai Samaj, Mylapore! Hesitant to neglect so mysterious a manifestation of Baba's Grace (of which he was well aware through other more concrete instances, like Vibhuthi emanating from the pictures of Baba, in his shrine-room), Ramachandran decided to have the Upanayanam of his two sons celebrated on the 5th of May as directed. And Baba gave proof that day He was present! "During the evening Bhajan, every one in the gathering of nearly a thousand people had a peculiar feeling that the sofa kept on the platform for Him was not vacant. 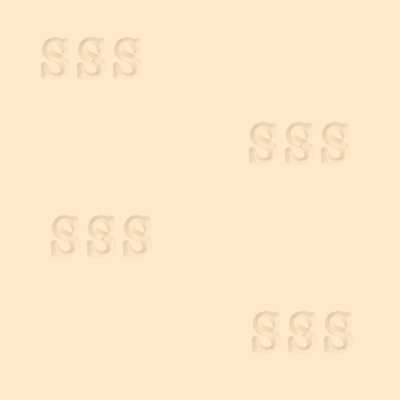 When Arathi was over, we found that the new silk seat-spread had been creased in such a way that we could clearly make out that Baba had been sitting there. Besides, the ring of jasmine flowers which was placed on the right arm of the sofa, as is generally done at Prasanthi Nilayam, was crushed just as if His Hand was resting on it". A sign is enough for those who seek. Writing about the Dharmasthapana for which Baba has come in human form, we have to devote special attention to the Academy of Vedic Scholars established under His Guidance, which is fast spreading its beneficent activity from one State of India to another, since 1964. It was on the sacred day of Ramanavami, when a million homes all over the country were celebrating the incarnation of Rama, described as the embodiment of Dharma, that Baba revealed His intention. He was that day at Rajahmundry on the Godavari river; at dusk, He entered a motor launch with a number of learned Pundits and scholars, and we reached a patch of dry sand, an island bathed in cool moonlight, set in the dark blue background of the river above the Dhowaliswaram anicut. There, seated in the center of the circle of adoration, Baba spoke on the state of the world and of India, which must guide it, with the lamp of Sanathana Dharma. We must reform the habits of man; re-construct his character; recondition his ideals and modes of living; help him regain the spiritual heritage which he is now encouraged to ignore by protagonists of material prosperity and monetary happiness", said He. He created from the sand before Him, resplendent idols of Rama, Sitha, Lakshmana and Anjaneya; then, He created a charming idol of Nataraja, the Dancing Siva, symbolising the Energized Universe that expands and contracts (or breathes) in harmony with the Divine Will. Then, in the climax of that Sublime Silence, He announced that He had decided on the establishment of the Prasanthi Vidwanmahasabha, an All India Academy of Vedic Scholars who will strive to awaken humanity to the need to attain the Prasanthi (Inner Harmony and Equipoise) which has its Nilayam (Above) in the Sanathana Dharma, enshrined in the ancient scriptures of India. Surely, a great moment in the history of this Age. Baba had given indications even in the forties that He will rebuild Vedic Dharma on a stronger foundation. In 1955, on the first day of October, at 9.30 a.m., as recorded in my Diary, Swami Amrithananda ran towards me, after an interview with Baba, gasping with joy. He said, "I had a big sum of money with me which Bhagawan Ramana Maharishi advised, I should use for Vedic revival. I had invested it in the Benares Bank and later with some Trusts. I had consulted Madan Mohan Malaviya, Bhagawan Das, and Bal Gangadhar Tilak about the scheme but somehow, my plan did not fructify. Just now, Baba told me, unasked, all about my unfulfilled yearning. He said, "Do not worry any more; the task of Vedic revival is no longer yours. It is Mine". The Swami died, peacefully, within two months of this transfer of burden! In January, 1960, a great Sanskrit scholar from Sorbonne, France, Valestin by name, who was in India to translate the commentaries on the Vedas into French, arrived at Prasanthi Nilayam. One evening, during an interview with Baba, he suddenly caught Baba's hands and pleaded "Baba! Vedic scholarship is fast declining in this Holy Land. You must revive it, you must foster it". I was there, nearby. I felt that East and West were also there, awaiting with palpitating heart, the reply that Baba will vouchsafe. For the Vedas are for both East and West, for all mankind. And Baba did not disappoint mankind. He said, "I have come for that very purpose, for Vedic revival. It shall be done. I will do it. Wherever you are, you will know of it. The world will share that joy, that light". The Sabha was formally inaugurated at the Swadhyaya Sapthaha Yajna during the Dasara Festival, 1965. About 200 Pundits had assembled at Prasanthi Nilayam for the Convocation on 20th October. "Bhavani" said Baba, "gave a sword into the hands of the Emperor Sivaji commissioning him to venture forth and uphold Hinduism; this "Siva-Sakthi" is today giving these Pundits the sword of Courage and commissioning them to go forth and revive Dharma in the world". "I am sure this Sabha will move forward from Victory to victory, for it is contributory to My Work. In all lands, the true sense of values has to be restored and faith in the Divinity of Mau has to be implanted. This is the work for which I have come. The world has to be saved from the consequences of limited knowledge and of the blinding pride that precedes a fall. The world is a parched desert, calling out for rain. This Sabha will give each thirsty mouth a cup of solace and strength, from the well of the Vedas and Sastras". He condemned the criticism of Vedic rites, rituals and teachings of superstitions. "The Vedas are the root of Dharma. If the roots are injured, the tree will die". "They gave Ananda and Santhi that are lasting and sustaining", He said. "They transmuted all activity into worship of the Supreme and saved man from unending desire and inexplicable sorrow", He said. "Know thyself, instead of the sun and moon - that way lies the road to Ananda and Santhi". The purpose of the Akhila Bharatha Prasanthi Vidwanmahasabha was clarified by Baba during the discourses that He gave on the days following the inauguration, while presiding over the lectures that the Pundits gave on the subjects suggested by him from Vedic and Vedanthic texts. The watchword for the Sabha should be, He said, the prayer that is mentioned in the Vedas as arising however indistinct, from every human heart, "Thamaso maa Jyothir gamaya ... From darkness, lead me unto light". "Eradicate Ajnana, the ignorance of the Universal that is the basis, the Ocean of which the individual is but a wave; light the lamp in village after village. Instill faith in man's freedom from grief and pain, that is to say, instill faith in the Atma and the Atmathatwa; share your learning and experience, in love and sympathy, with the people who are hungry to know and be saved; remind them of their worth and work. You are not to condemn any one's faith or to develop any new sect; foster the positive attitude in spiritual effort; faith is a precious plant, a gust of harshness will make il wither. Be kind, be considerate, promote love, tolerance, service, sacrifice, wherever you find them in the heart of man. These Pundits have at last attained the fruition of their long study, for, they have secured this medium, this Sabha, for sharing their joy and their wisdom with their brothers and sisters. They have been allotted districts and the Central Committee will be supervising the programme and progress. They will sow in all cultivated hearts the seed of the Karmakanda, the Upasanakanda, and the Jnanakanda of the Vedas, of Dharma as expounded in the Manudharmasastra and other texts and of the Glory of God and Man as explained in the Bhagavatha, the Mahabharatha and the Ramayana", He announced. Turning to the thousands of devotees who had come from all parts of India, Baba said, "They sow the seeds. But, you have to tend the young crop, feed it with the manure of Manana, rid it of pests, like greed and pride, harvest the happiness of Love and establish yourselves in the Prasanthi that the nourishing grain ensures". Baba recognised that the pundits must grow experienced in the art of explaining the essentials of the scriptural teachings to the masses in small easily assimilable doses that are relishing; He warned that, unless the Pundits took care to practise what they preached, their discourses would be exercises in sheer hypocrisy. The people too have to be trained in the art of listening to short, straight, spiritual discourses which arouse the desire to practise what is taught. For, as Baba said, the greatest sin is hypocrisy, spiritual weakness, self-condemnation and cowardice. These can be cured only by the awareness of one's inherent Divinity, that can never be harmed by such passing clouds of depression", Baba assured. Baba declared, "This prasanthi Vidwanmahasabha is not something new, it is Sanathanam. It is now once again set up on the age-old Mission. This work of Dharmasthapanam is being done over and over again. You have now the chance to share in it; So, join this great task and make your lives worth while". That call was irresistible. Towns and villages vied with each other in asking for the chance to arrange meetings and seminars for the benefit of their citizens. The members of the Sabha were already famous over the length and breadth of the land. Dr. B. Ramakrishna Rao, a great scholar in Sanskrit, Telugu, a celebrated linguist, a great social worker and political leader who served the people as Chief Minister of Andhra and Governor of Kerala and Uttar Pradesh, is the President of the Sabha; he has a Central Committee of Pundits who have earned enduring fame by their scholarship, speeches and writings like Uppuluri Ganapathi Sastrigal, who is honoured as Amnayarthavachaspathi by his colleagues; Kolluri Somasekhara Sastry, honoured as a Kulapathi by his gratified students; Bulusu Appanna Sastry, known as Darsanalankara, the renowned translator and commentator on Sankara's Githa Bhashya; Remilla Suryaprakasa Sastry, honoured as Sanga Veda Vidya Bhaskara; Varanasi Subramanya Sastry, who by his unexcelled scholarship relating to the works of Vyasa is celebrated as Balavyasa; Ghandikota Subrahmanya Sastry, the doyen among Dharmasastra scholars and the master of Vedic lore; Pisipati Krishnamurthi Sastry, a great expert in astrological observations and calculations according to all the schools of that ancient science, and others. To bring such a galaxy of Pundits into the same orbit is itself an achievement, made possible only by the unique attraction which Baba's Divinity exerted on them all with equal force. The Inaugural Meeting where the Pundits carried the Message to the people at large was held in the immediate Presence of Baba Himself at Venkatagiri Town, in the Palace Quadrangle, under the chairmanship of the Raja Saheb of Venkatagiri. Baba mentioned that the citizens of Rajahmundry on the Godavari were hoping that the meeting would be held in their town, since the Sabha was resolved upon 'on the sands of an island in the centre of the Godavari on Sri Ramanavami, last year'. But, "like all good things, this too is won not so much by present effort, but, by merit accumulated through, years numbering to centuries". Baba said "Venkatagiri has been for centuries the seat of a Royal Family dedicated to the support and protection and promotion of Dharma. Consider how many temples were built or renovated and maintained by its munificence! Take count of the Pundits it has patronised so far and the number of religious books its donations have helped to reach the masses. See the interest the Family takes even now, for the upkeep of temples and mutts although their State and Status have been overwhelmed by the storms of political change". No wonder that when the Madras State Prasanthi Vidwanmahasabha was inaugurated six months later, Baba selected the vast grounds of the Venkatagiri Palace at Madras City as the venue! The Mysore State Prasanthi Vidwanmahasabha was inaugurated at Brindavan, Whitefield near Bangalore on 13th April, 1964, under the Chairmanship of Hon'ble Sri B.D. Jatti, the Finance Minister of Mysore State. Inaugurating the Sabha, Baba said, "The link between the Pundit and the politician, the religious leader and the ruler has snapped and each goes his own way, irrespective of what the other thinks or feels. Long years of foreign rule during which the Pundits were derided as symbols of an out-dated culture contributed to the widening of the gap. But, even after that rule ended, nothing has been done to re-establish the link. Sunk in the search of passing pleasure and cheap recreation, people have become deaf to the counsels of the past and the call of the sublime. Unless the people are trained to direct their newly won opportunities into channels of service and self-control, there will be large scale moral breakdown, when the Five Year Plans stud the land with dams, power-stations, furnaces and factories; we must have a Plan, a well-thought-out Plan, for the moral education and the spiritual uplift of the nation, in order to avoid disaster". At the Inauguration of the Mahasabha in Madras State, Baba declared: "Man's ambition to conquer outer space, even before he has understood fully the nature of the earthly home he carries about with him and the discipline needed for harmony therein is leading him into great disaster. No knowledge, however impressive, which refused to acknowledge, the existence of God can be safe and sustaining", Baba declared. The Mahasabha has also been established with His Blessings at Hyderabad, the Capital of Andhra Pradesh at a Meeting presided over by the Governor, Sri Pattam Thanu Pillai. The Maharashtra Branch of Vidwanmahasabha was inaugurated by Baba at the Shanmukhananda Hall, Bombay, on 7th June, 1965. A Committee under the Chairmanship of Hon'ble Sri P.K. Savant, Minister of Agriculture, Government of Maharashtra, has been formed with the Speaker of the Legislative Assembly, the Chairman of the Legislative Council and others as members. Sri Savant is an ardent devotee of the shrine at Shirdi, where Baba lived the Life Divine and taught way to God, as Sai Baba; Sri Savant was a member of the "Shirdi Samsthan Trust Committee" and for some time he was its Chairman. The Trust manages the affairs of the unique shrine that has grown around the 'Tomb' or Samadhi of the Sai Avathar. When, therefore, Savant heard that the Master had taken human form again, he was naturally cautious about the claim. His curiosity however took him to the bungalow of a devotee with whom Baba had stayed for three days in May, 1960. There Savant joined in the Bhajan; he went through the Album of Photographs depicting Baba's activities; he saw a few hundred feet of film recording Baba's visit to Badrinath and the Yajna which was celebrated at Prasanthi Nilayam; then, he was taken into the very room where Baba had stayed during those three days. It is kept as if He has not left the place, in perfect readiness to receive Him, any moment. While in the room, Savant was offered the Vibhuthi brought from Prasanthi Nilayam, kept in a small receptacle there. Naturally, he opened his mouth to receive it, but, his breast was suddenly afflicted with an understandable pang of doubt, whether as a staunch devotee of the Sai Baba of Shirdi, he could now take in the Udi consecrated by a stranger who claims to be the "same Baba" come again. There are Babas and Babas, he felt, spurious, pseudoauthentic, and dubious, pitching their claims to reverence on all manner of unprovable relationships. We should not be surprised when a devotee with Savant's steady faith in Sai Baba was harassed by doubt; we must indeed be thankful for his hesitation, for just at that split second, in order to convince him that the Sathya Sai at Prasanthi Nilayam is Sathya (Truth), the same as the Sai Baba of Shirdi, a long bright flash of light emerged from the right palm of Bhagavan Sri Sathya Sai Baba in the picture hanging on the wall of that room, above the heads of Dr. D.J. Gadhia, who was offering the Udi and of Sri P.K. Savant who was outwardly ready, though inwardly undecided, to receive it! That flash scattered all argument against the identity of the two Babas; it shattered the dark clouds of doubt and hesitation. Savant received the Udi. Some months later, at Prasanthi Nilayam, Baba declared, "The depth of the devotion of Savant to that Body and this Body of the same Sai is known only to him and Me". Savant attended the inauguration of the Mysore State Branch of the Prasanthi Vidwanmahasabha and so, he was happy that a branch of the Organisation founded by Baba was soon started in Maharashtra. He and all who shared the thrill of that day were glad that the Grace of Baba had descended on Maharashtra again and that a new era had dawned for the Pundits of that State, who could share in the revival of Dharma under His auspices. The Vidwanmahasabha has been actively promoting lectures by Pundits in several towns and villages. A seminar for about twenty of them was held for a week to suggest subjects (on which they should speak to the people) selected from the vast reservoirs of Scholarship that they have each stored in themselves and to suggest methods of presentation that would receive response from Baba invariably encouraged the people, the organisers, and the Pundits either by His physical presence and Discourses or by some 'sign' of His Presence. The District Committees would arrange the discourses in the headquarter towns of Taluks, for the devotees in the Taluk headquarters could carry the Message to the villages around. Thus, the disciplines and ideals of the Upanishads have been planted among agitated communities in areca-gardens and coffee plantations, ricefields, factory-chimney and bungaloid suburbs, University campuses, pensioners' colonies, pilgrim centres and professional clubs. Where formerly the audience at the meetings that these Pundits addressed could be counted on the fingers of one hand, and where in every place the same few were the only ones attracted, the meetings of the Mahasabha now drew tens of thousands in towns and all the population in the villages. For, the discourses are in the language of the people and are simple and useful, directly affecting the daily life. Baba's Divine Presence gathers hundreds of thousands to His Discourses, for they are the authentic Upadesh of the Lord. As Baba declared at Venkatagiri, "The establishment of the Vidwanmahasabha is an epoch-making event; for it is not less than the Dawn of the Golden Era of the Liberation of Humanity. The Liberation of Humanity from the petty role to which man has condemned it, deciding wrongly that he is the sheath and not the sword, the body and not its occupant, this is the very purpose of Baba's advent in human form. Baba has revealed that the repositories of ancient Indian culture are His instruments for this purpose. During his Tamilnad Tour, in the village of Surandai, He encouraged Vedic Pundits to recite Vedic riks in the Ghana mode, and rewarded them with medallions of gold. Similar medallions were awarded by Him to Pundits on the conclusion of the recitation of riks, at Akiripalle and at Rajahmundry. In 1963, at a Vidwathparishath (Assembly of Scholars) held at Rajahmundry, He gave to each member, robes of honour encouraging them to apply themselves to the study and exposition of the Vedas and Sastras. In 1960, He presided over the College Day Celebrations of the Markandeya Oriental College. While welcoming Him to that institution, Dr. S. Bhagavantham (whose father was the Founder of the College), the great Scientist, now Scientific Adviser to the Defence Ministry of the Government of India, said "Whenever I went to have Baba's Darsan, I was amazed to find around Him groups of people from all countries and professions, great and small, rich and poor, sick and healthy, young and aged and Pundits filled with academic conceit wondering how all their learning is found useless before the All-knowing one". They wondered and the wonder ripened into devotion. Baba has blessed by His Presence the Niranjana Bhajan Mandali, at Maddur, the Sivanamajapasapthaha (week-long Continuous Recitation of the God) at Srisailam and the Githa Study Circle at Naini Tal and the Hindu Samaj, Rajahmundry. The Sanathana Bhagavatha Bhaktha Samajam (Association of the Dedicated and Devoted) of the Krishna-Guntur Districts has been taken by Him under His benign care. Baba has also graced the Yajna celebrated by devotees at Rajahmundry, Venkatagiri and Srinivaspur. He visited the Sanskrit Patasala and the Vyasasram at Erpedu. When the Banaras Sanskrit University arranged the Akhila Bharatha Thanthrika Mahasabha, it sent Swami Dattareyaji to Prasanthi Nilayam to invite Baba to be present and bless the Sabha. Though Baba has often declared, "This is the age of Thanthra", He had to send the Swami back disappointed. The Organisers of the Vishwa (World) Hindu Parishad approached Baba for joining the group of Swamis who were guiding it. Baba told them that He had come for the very purpose of reviving the ideals of Hinduism and setting it on the road of victory; "I am every moment doing the very thing you have now in view". When the Telugu Vijnana Samithi, Malleswaram honoured some members of the Central Committee of the Prasanthi Vidwanmahasabha Baba agreed to preside over the Meeting. Governor Pattom Thanu Pillai said, while inaugurating its Hyderadad Branch, "I am glad one of the main objects of the Sabha is the fostering of scholarship by honouring the Pundits and thereby encouraging the study of the Vedas and Sastras". Baba presided over a vast gathering of admirers and students when the Hindu Samaj at Rajahmundry honoured three old and revered Masters of the Ancient Learning, Bulusu Appanna Sastry, Varanasi Subrahmanya Sastry and Kolluri Somasekhara Sastry. During the Dasara Festival, 1965, Baba conferred upon these three and on Vidwan Dupati Thirumalacharlu of Venkatagiri, the mark of appreciation that Royal patrons used to confer in past ages, namely, the "Suvarna Kankana" or gemset Golden Bracelet. Every one who saw the tender love with which He helped the old men to come on the stage, the pride which He seemed to take in their achievements, and the solicitude with which He helped the Governor to fit the jewels on the wrists of the recipients, and cover their shoulders with the gold embroidered shawls, will cherish the scene as both inspiration and instruction. 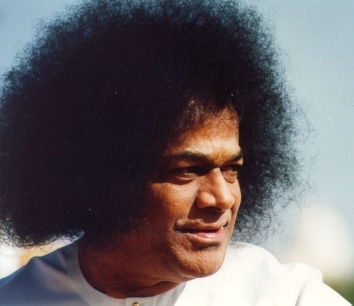 Pundits have good reason to welcome the Sathya Sai Era, for He is their Kalpatharu come on earth. When a Pundit read before Him some poems that he had composed about Goddess Kamakshi of Kanchipuram, Baba created a golden image of that Goddess and granted Him that precious gift; when others offered Him works on Yogavasishta and Githa-bhashya that they have composed Baba's grace provided them funds to publish them. Baba is Veda-maatha; He cannot tolerate a Vedic scholar toiling with the sweat of agony on his brow. Except, of course, when He is set on teaching a lesson! For, He is a hard task-master, intent on maintaining the moral standard of those who claim to be masters of the ancient scripture. For example, a Pundit from the East Godavari District was so desperate financially that in his dispair he denied Baba's Grace! He denied his wife the permission to write to Baba asking for succour. Two days later, he was amazed to receive a letter from Baba who was at Prasanthi Nilayam, 800 miles away, in which He severely reprimanded him for it, "Why did you tell her,'You have no permission'? Do I not know? Can I know only, when she writes or any one writes? Do I not know, for example, that you went to Ramachandrapuram expecting to collect some little money through discourses on the Gita and that you returned home having incurred loss? Do I not know that you then started condemning yourself that all your learning was a waste, that all your experience was of no value? For Me who is providing for all this world, it is no burden to provide for you and your family. I am placing all these hardships on you only to teach you a few lessons". The following extract from the letter, which the Pundit placed in my hands at Amalapuram, indicate the lessons: "When life flows merrily on, people claim that it is due to their own effort and they forget the Lord. When failure resists the flow, they start cursing and losing faith. When you grow desperate, you are insulting the Atmathatwa, the Atma principle which you really are, that knows no pain or joy. You have become condile in many subjects, but you do not try to derive the fruits thereof by putting them into practice. If only you have the faith that nothing can hinder the Atmananda which is the live spring in every heart, how happy you can be! Just imagine how calm and collected you could be then. In your lectures, you dilate on the Atma and the Ananda derivable by man and drill deep down into it. It is easy to advise others; when it comes to practising what you recommend, you feel it awful bother. Carrying all the Vedas, Sastras, Puranas, Ithihasas and Upanishads stuffed in your brain, this wailing do and this anger not become you. Instead of resorting to the most effective specific for all anxiety, namely, the Name of the Lord, why do you waste time recapitulating and lamenting over pain, fear, loss and grief? Engage yourself in that which is enjoined as your duty, the duty which your status demands. Do it courageously and gladly. Strive to gain the four Purusharthas; then, you can certainly experience the Highest Truth. Practise and earn the Highest Bliss. Do not decry the rich; no, not the rich only, do not decry any one, in any manner. For remember, Sai is in every person. So when you decry another, you are decrying Sai Himself". After this paternal but firm admonition, Baba closes the letter with the revealing colophon: "He who resides in your heart, Sai". "Nee Hrudayanivasi, Sai"! This vigilant supervision of the workings of the Inner Consciousness of the Pundits who have come within His Orbit is another of the many ways in which this Vedamatha (Providence which revealed the Vedas) seeks to promote Sanathana Dharma; for, unless, we have a brave band of Vedic scholars who live the Vedic life, the world cannot be enthused to honour and accept the Vedic teaching of Fundamental Oneness.